It stops everything, doesn’t let you achieve your goals, and hinders your growth as a human being. Fear leaves you with an empty feeling. How can you ever accomplish your goals if you keep letting fear get in the way? Stop being scared. If you never try to conquer your fears, you have a zero percent chance of success. There truly is no reason to be afraid, what’s the worst that could happen? If you fail, get back up and figure out a new plan. Without an effort, you will never know what is possible. 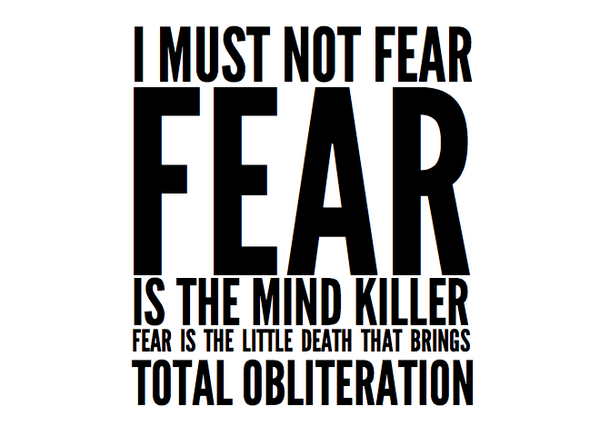 Fear is only a state of mind, and once you get out of that, you will truly realize your full potential. Posted on May 23, 2011, in Life and tagged fear, goals, imagination, potential, state of mind, success. Bookmark the permalink. Leave a comment.